We are currently seeking Associate Financial Advisors to help take our local firm to the next level. The primary responsibilities will be collaborating with our experienced advisors to maintain profitable, professional client relationships with our current client base, and review/present client related financial plan recommendations or implementation processes with all existing clients. All candidates should demonstrate a desire to network, build relationships and communicate effectively with people. This is a great opportunity for an aspiring advisor to shadow the firm owner, be involved in client meetings early on, and contribute to a growing firm that leverages technology and is positioned for growth. Potential opportunities for acquisition and/or succession plans may exist in certain situations. Life and Health License and FINRA Series 6/7 and 65/66. 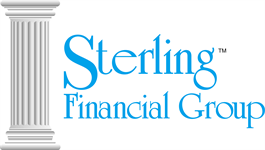 Build Your Own Practice with Sterling Financial Group, LLC. You have the Power. The freedom and rewards of building your own business, based on your vision and market opportunity. The resources, stability, and scale of a national network, backed by a highly rated financial services company. Our relationship with John Hancock Financial Network provides us with products and services backed by the financial strength and stability associated with a highly rated financial services company in the United States. It provides us with a connection to one of the most recognized brands in the industry, a name our clients know and trust, along with comprehensive technology and support as we address the diverse financial needs of our clients.